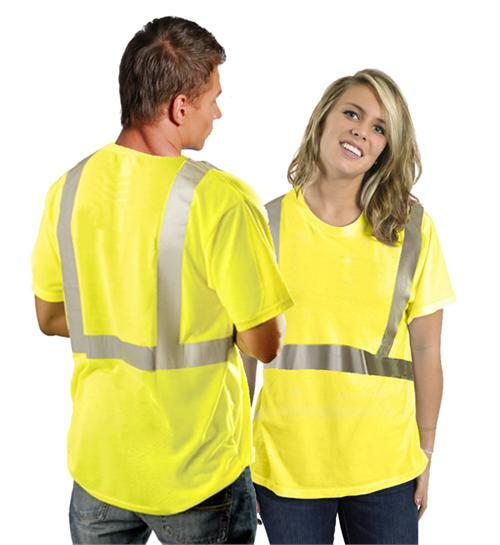 Confortable yellow T-Shirt with reflective stripes. 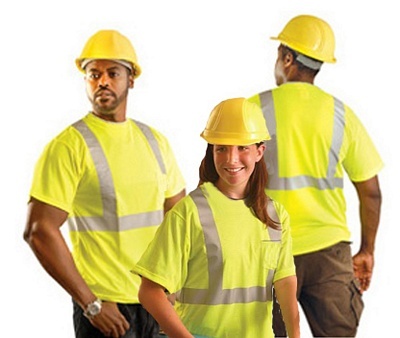 ANSI/ISEA 107-2004 Compliant Class 2 Safety Protection 3M Scotchlite reflective tape 100% polyester hydro-wicking - helps keep you dry and cool even on the hottest days. If you would like us to imprint your safety vests, please select Heat Transfer Vinyl Printing below. 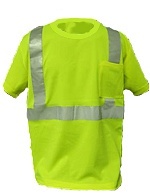 No minimum and no set-up fee (single color text only).